Solemn Oath Brewery began as a jumble of thoughts scrawled on a piece of paper. 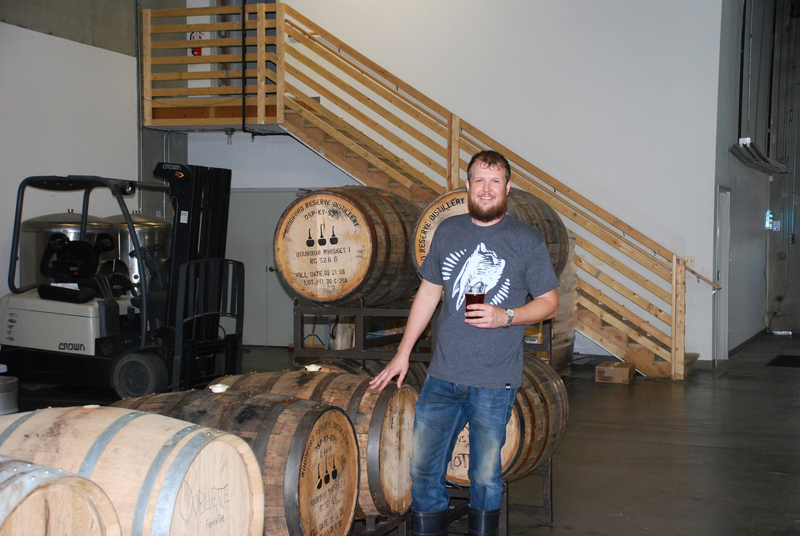 John Barley (LAS ’08) was on a flight home from California when he began toying with the idea of opening a Chicagoland brewery. The mid-air brainstorming session was particularly fitting because Barley first developed a passion for beer during overseas trips to visit his parents. John Barley (LAS ’08) at Solemn Oath Brewery in Naperville. “When I was at DePaul, my parents were living in Brussels, and I spent six or seven weeks there every year thanks to DePaul’s quarter system,” Barley explains. His father, whom Barley describes as a beer connoisseur, helped spark Barley’s epicurean interest, and Barley quickly became enamored of Belgium’s brews. Barley graduated in 2008 and accepted a position working in branding and design for a non-profit organization, but the inklings of an entrepreneurial idea had been planted. 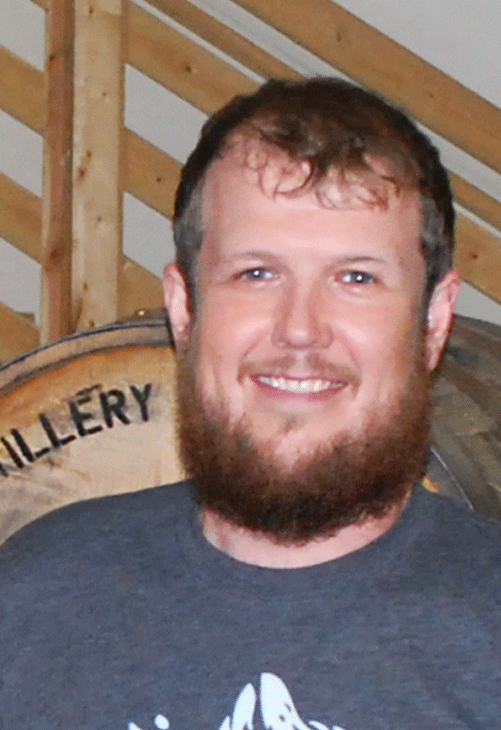 Using the analytical skills he honed in DePaul’s political science classes, Barley drafted and revised a viable business plan for a new craft brewery. By January 2011, he was searching for a head brewer, and he felt confident that his proposal would take flight. However, the fledging brewery encountered its first major obstacle when none of Naperville’s existing liquor licenses suited Barley’s proposition. “You have a group of young guys looking to serve beer in an industrial park – it’s a city’s worst nightmare,” Barley concedes. Throughout several months, he worked closely with supportive Naperville officials to successfully change the law. Unlike traditional bars, Solemn Oath is primarily a production facility; the tap room serves only a limited quantity of beers and no food. Barley is president and CEO of Solemn Oath Brewery, but he wears several other hats as well. For example, Barley is a certified fork-lift operator, and his workday often begins with vigorous manual labor, such as hauling the 55-pound bags of grain necessary to start the brewing process. “There’s also lots of paperwork,” Barley notes. “Beer is a highly regulated industry, and there are specific rules to follow on the local, state and federal levels.” Additionally, Barley oversees Solemn Oath’s distribution to local bars and restaurants, and he coordinates with his head brewer to manage supply and demand. While Barley’s roles are many, he is quick to emphasize the collaborative, collegial atmosphere of the company. “It was crucial to pull in a bunch of talented people to get the ball rolling,” he says. Solemn Oath Brewery currently employs five full-time staff, and each employee contributes suggestions for beer names. With monikers such as Snaggletooth Bandana and Kidnapped by Vikings, it’s clear that the crew is enjoying the creative process. “Our personalities really come out,” Barley admits, laughing. On a journey marked with numerous achievements and milestones, Barley’s most memorable professional moment took place at a bar in Chicago, when he first overheard a customer order a Solemn Oath draft. In that simple transaction, Barley saw all his hard work and perseverance come to fruition – it’s worth raising a glass of Snaggletooth Bandana and toasting to that. To learn more, please visit solemnoathbrewery.com. Solemn Oath Brewery’s drafts can be found at many Chicagoland bars, including Small Bar, Lincoln Station, Bangers and Lace, Hopleaf, The Map Room and Publican. You are currently browsing the DePaul Advancement News blog archives for October, 2012.